Rajinikanth and Radhika Apte essaying main lead roles in the forthcoming Tamil film Kabali is progressing with its shoot in Malaysia. 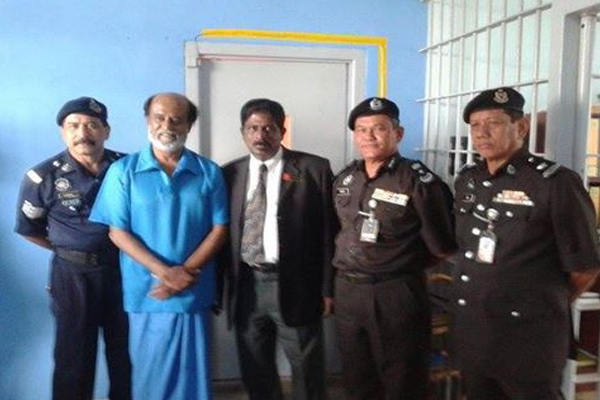 A fresh schedule has now began in Malacca where crucial jail scenes on Rajinikanth and other artists of this commercial gangster film. In this sequence, Rajinikanth is said to save his jailmates from the fire outbrust in prison. Kabali is the story of an aged gangster in which Rajinikanth is seen. Pa Ranjith is the director while musical scores are being rendered by Santosh Narayanan. Dhansikaa, Kalairasan, Kishore, John Vijay are essaying key roles. Write & Share about "Rajinikanth's Kabali filming in Malacca | Kabali Tamil Movie News | Cinema Profile" !